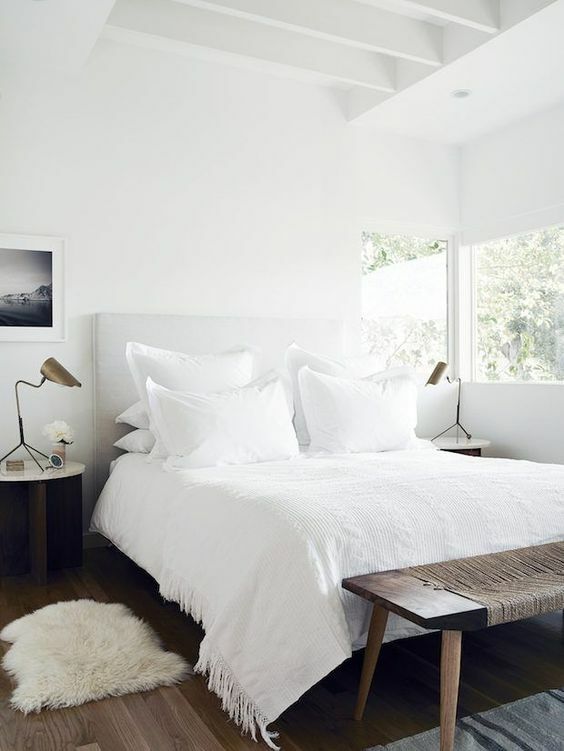 Stylish white bedrooms are always a classic. The simplicity of the colour white makes this the perfect choice to use in this all important room. 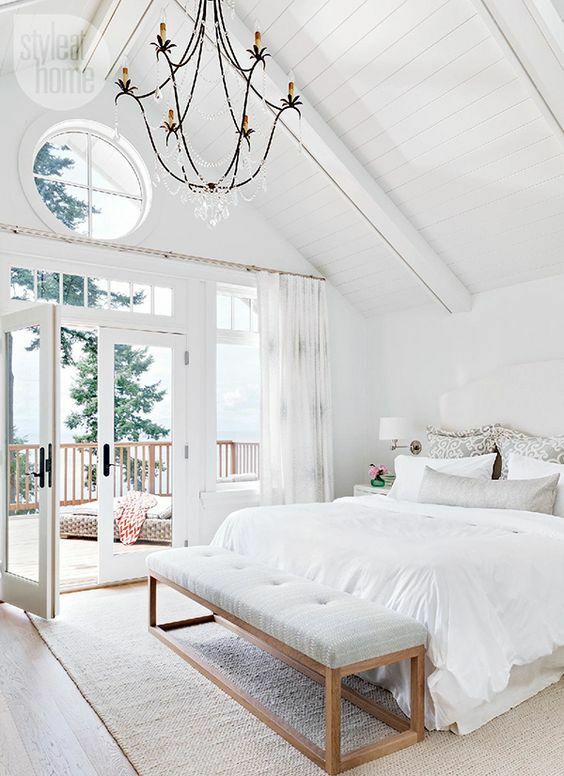 Calm and serene, white is a gentle colour to relax in and therefore perfect for this space. 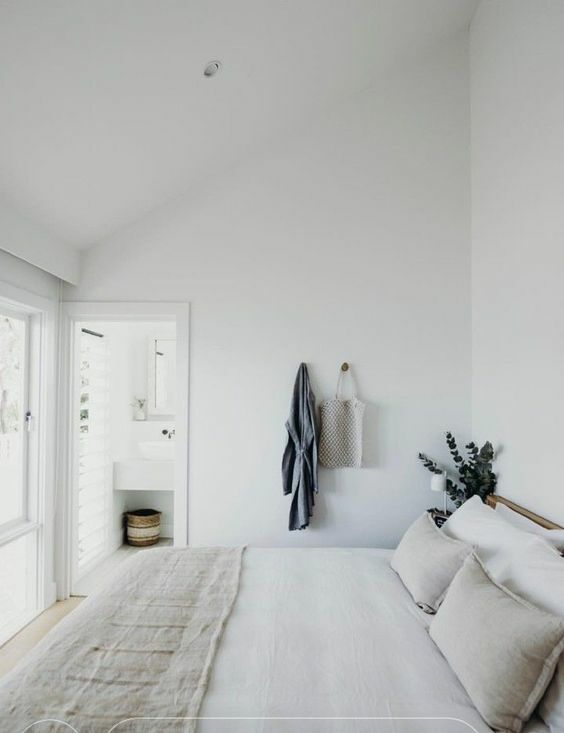 Even if you have a neutral or a soft calming colour like blue or green for the walls and carpets, you can’t go wrong with layers of white for the bedding. 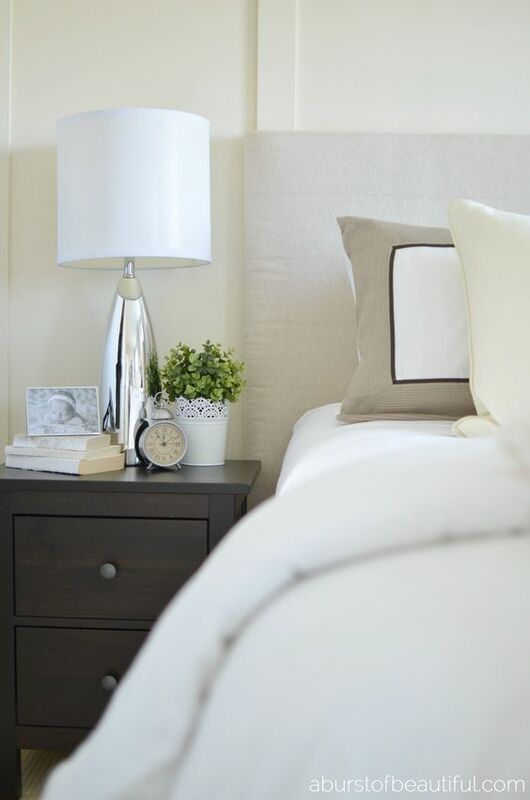 White bedrooms are timeless. They are clean and crisp and just simply stylish. Let me show you more here. Some are clean crisp cool whites with a blue undertone. And some of these will have more blue than others making them very cool whites. One of the comments I hear the most is that people have used a blue based white and didn’t realise and then are unhappy with the effect. Don’t misunderstand, a blue based white can look great, you just have to ensure that is the effect you were looking for. In a house with lots of sunlight, this is often the right choice. Sometimes though if you don’t have enough natural light, the look and more importantly, the feel, can be cold and gloomy. Other whites will have a creamier, yellow undertone. Often people run from these as they are perceived as being a little out-dated. 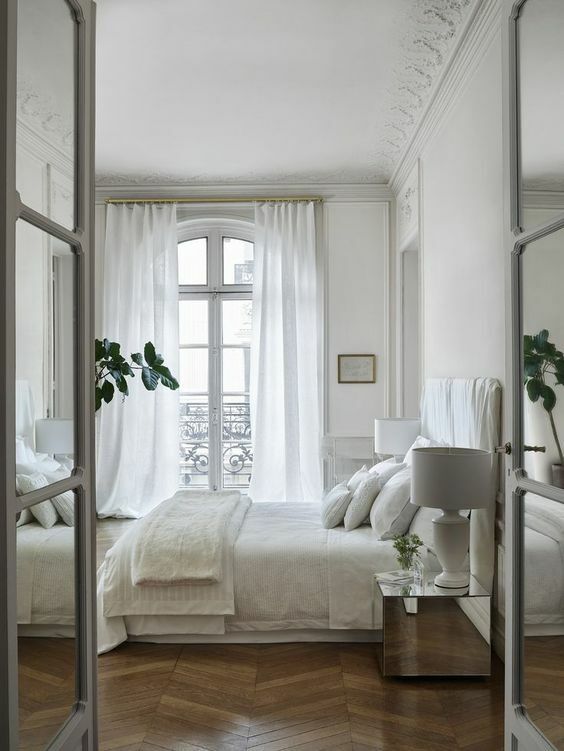 However if you paint everything in the same white then all that happens is that you create a mood and feeling for the space that is warm and welcoming and unless you put another crisper white next to it you don’t necessarily notice the creaminess of the white – it is just right for the space. These warmer, creamier whites are great for houses that don’t get lots of natural sunlight. 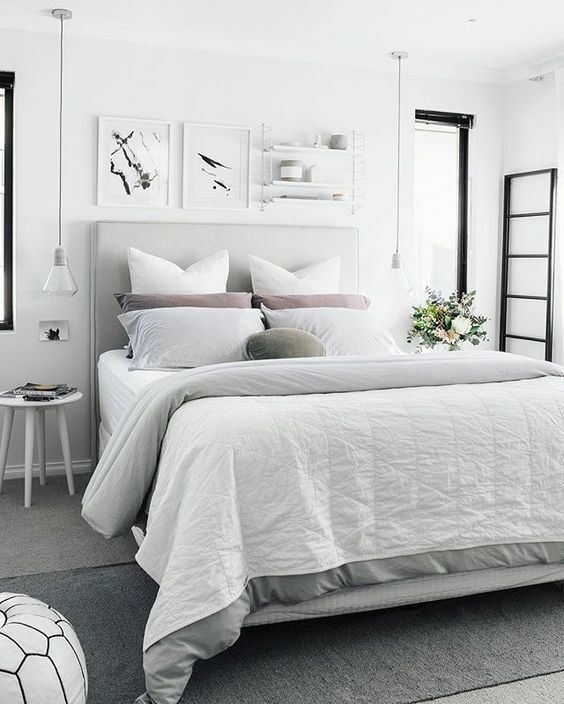 If you love white bedrooms but the all white palette is too much for you then just a touch of stronger tonal variation can make all the difference to the look. 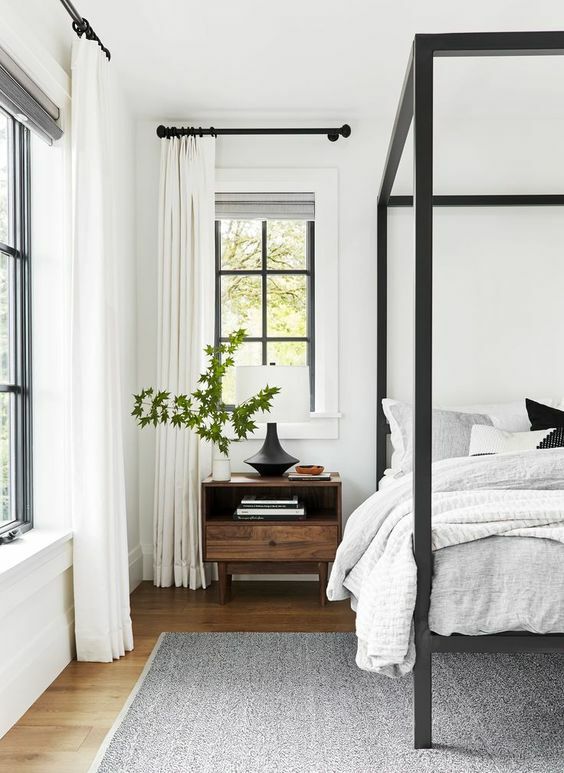 The black in the canopy bed, windows and curtain rods is just enough to break up the starkness of the white with a very soft grey in the rug and bedding, the effect is beautiful. The black elements define and almost frame the space. 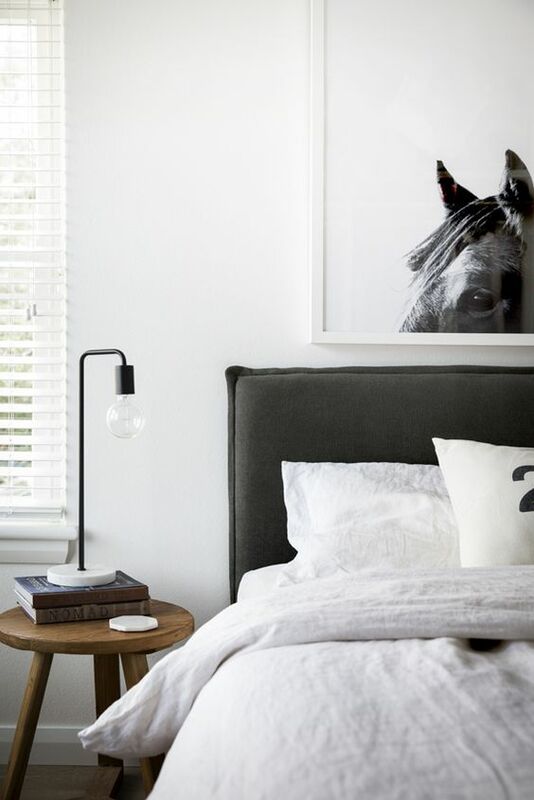 White linen bedding is very effective against a dark grey upholstered bedhead. A good quality linen will soften every time you wash it – it keeps you cool in the summer and warm in the winter and the best part is that it is 100% natural. 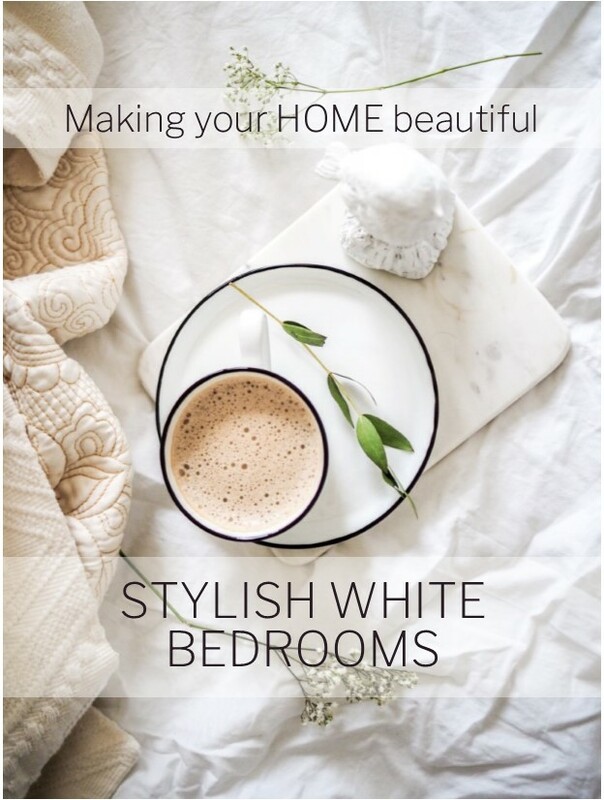 By using white bedlinen you could change the colour of the bedhead, the artwork, the walls or flooring and the bedlinen will still look good. 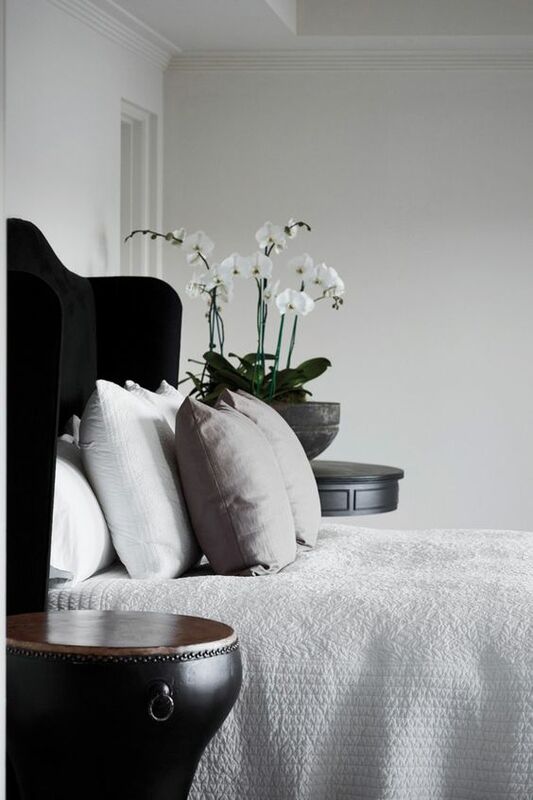 If you prefer the tailored look then you can’t go past a classic white bedspread with matching white pillowcases. I have always used a bedspread like this and no matter how creased your bedlinen is, the bed, once made in the morning, always looks great. You can cover a multitude of creases with a good quality, heavy bedspread. Depending upon the look that you like you can buy them with floral designs, simple stripes or a geometric design. Whichever one you go for it is only a slight textural design change as being all in white, the look remains classic and simple.